The Fresca Oxford Tall Bathroom Linen Cabinet is not only a perfect addition to any Fresca Oxford vanity ensemble, but it also works very well as a standalone unit. The cabinet frame is made from solid wood, and is nicely accented with dovetail drawers and plenty of storage space. Add uniqueness to your living space with this cappuccino storage cabinet. This distinctive cabinet is marked by its 55" high stacking design. It offers generous space to store albums, magazines, accessories and even blankets. This functional piece also allows you to display pictures and decorative accents on both top and bottom shelves. Upgrade your exterior living space, and keep all your entertaining supplies behind closed doors, with Outdoor Kitchen cabinets in Grove. 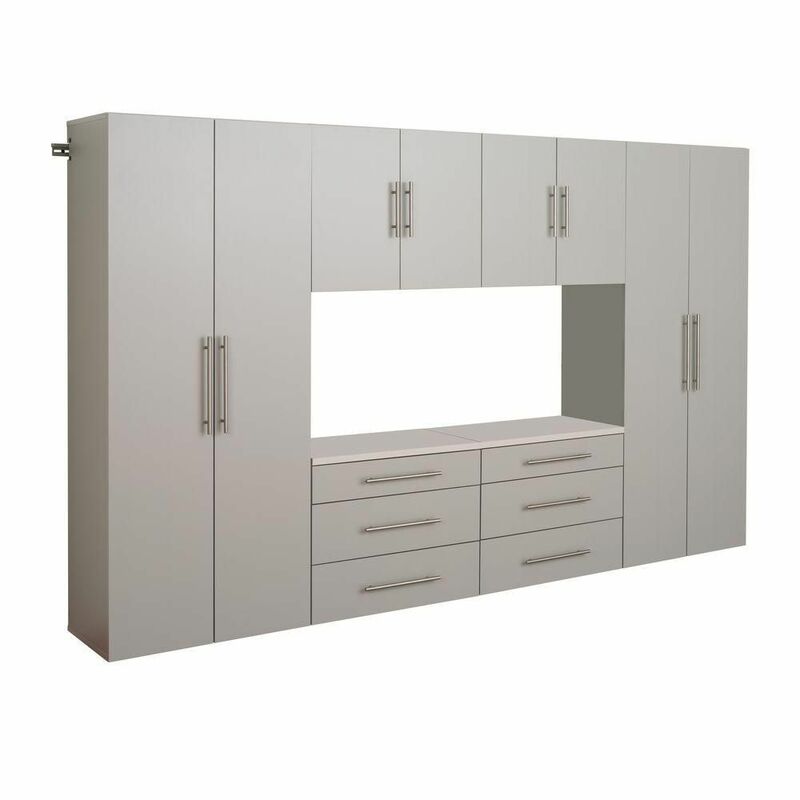 Constructed with a 304 stainless steel frame, these cabinets are built for durability. The UV resistant louver-style doors in a wood-grain Grove finish, offer a warm, contemporary style to complete your space. Adjustable shelves let you customize your 2-Door Cabinet to store any sized items. The 3-Drawer Cabinet has adjustable upper drawer dividers for cutlery and tool organization, with two extra deep drawers, perfect for storing all your hosting essentials.With premium features like soft-close hardware, and height-adjustable levelers, the NewAge Products Outdoor Kitchen cabinets in Grove will upgrade your space with organized, functional storage. Keep your multimedia collection neatly behind closed doors with the Grande Locking Media Storage Cabinet with Shaker Doors. With traditional style and practical function, this cabinet will complement any room as well as add valuable storage space. The shelves are fully adjustable, making it easy for you to customize. Adjust the shelves according to your needs, and keep out curious kids with the locking doors. Thanks to offset hinge points, both doors allow 180 movement, making it more convenient than ever to reach in and grab a movie. HangUps 120-inch Storage Cabinet Set (6-Piece) The HangUps Storage Cabinet Collection offers versatility for your ever changing storage needs in the garage, laundry room, office or workshop. The Cabinets mount securely to the wall with a heavy duty metal rail and hook system. The wall mounted feature ensures easy cleaning beneath the cabinets and protects your stored items from water and dirt. The HangUps Collection is constructed using laminated composite wood and features metal handles and adjustable hinges. This product ships ready-to-assemble and includes all hanging rails and fastening bolts. HangUps 120-inch Storage Cabinet Set (6-Piece) is rated 4.0 out of 5 by 6. Rated 4 out of 5 by HomeDepotCustomer from It’s exactly what I wanted and where I wanted it.... It’s exactly what I wanted and where I wanted it. Rated 5 out of 5 by Mary from HangUps 120 inch storage cabinet. We bought about 2 months ago. It was delivered before the expected date. It is so well constructed and easy to assemble. It was better than we had expected. It looks wonderful in our garage. Rated 5 out of 5 by STowler from Very well made Great cabinet set. Just be sure to secure all of the wall brackets really well. I plan on buying more to add on to this set. Highly recommend. Rated 1 out of 5 by kamer from Not very sturdy and quality is also poor. One piece... Not very sturdy and quality is also poor. One piece came already cracked. Does not come with back boards.